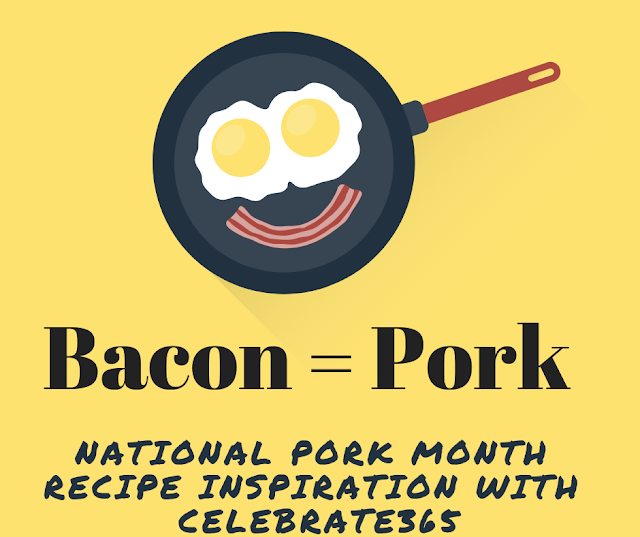 Celebrate national pork month with a plethora of pork recipes! It's national pork month and I think that is something to be celebrated! 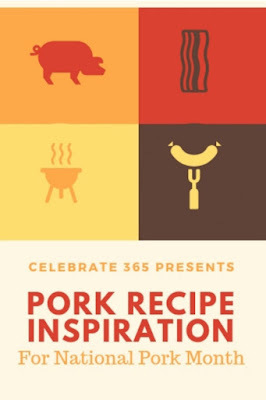 Join me and my Celebrate 365 friends in a pork extravaganza. There are recipes of all kind here. Bring us your bacon, your roasts, your sausages and more! Pork is one of our favorite meats. It is so versatile and finds itself in all kinds of dishes. Of course bacon has a special place in our hearts. So does pulled pork, I love eating that on sandwiches and repurposing the leftovers into all kinds of things. Some of my most popular ways to use pulled pork leftovers are creamy bbq pulled pork spaghetti, my bbq pulled pork rice skillet and creamy cheesy pulled pork enchiladas. Just typing about them makes me hungry! Then there is bacon. Mmmmmmmmm, bacon makes everything better! I feature it in all sorts of recipes everything from wilted lettuce salad with warm bacon dressing to German style potato salad. I also put it on pizza, in pasta, around jalapenos and pork loins too! I put it in dips, cheese balls and MiMi even put it in ice cream! I can't wait to see what everyone else brings to the party. My dad and brother make sausages, so it would be fun to get new ideas for them. And my cohost Val from Corn, Beans, Pigs and Kids is a farmer and as her blog name suggests, she raises some piggies for pork. So she happens to be an expert at this kind of stuff. If you are a blogger, please drop your favorite porky recipes. If you aren't feel free to browse for inspiration or tell me what your favorites are in the comments! Thanks for all all of these recipes! What a fun idea! I love all of this porky inspiration, don't you? Thnaks, Karen! Thanks for hosting, Carlee! I'm excited to check out some of these delicious recipes! There are some great ones! Thanks for partying with us! There are some great pork recipes here. We don't eat a lot of pork, but it is nice to have a variety of recipes for when we do. Thank you for doing this link party. We go through phases and we're in a pork heavy phase right now! Hi Carlee, bacon! I love bacon and like to use it a lot for flavour in soups. I'm going to have to come back and browse through these recipes. I'm always on the lookout for a good winter recipe. Bacon does add a lot of flavor to so many things!